For his first show in Turkey–and his largest to date–Ai Weiwei has turned to the ancient art of porcelain as a way of examining the refugee crisis. The exhibition, which opened at the Sakip Sabanci Museum in Istanbul this week (until 28 January 2018), features more than 100 pieces. 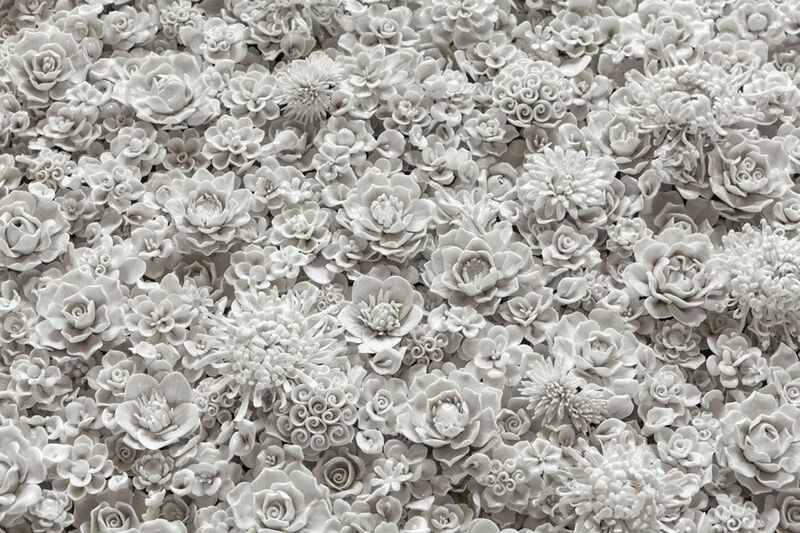 They include the first porcelain plate Ai sculpted in 1976-77 and Sunflower Seeds, the five-tonne porcelain seed installation that covered the floor of the Turbine Hall at Tate Modern in 2010. Meanwhile, his vast new wallpaper piece Odyssey (2016) draws on Ancient friezes, which were sometimes crafted in terracotta. Installed from floor to ceiling in one gallery, the wallpaper depicts different traumas experienced by refugees: flight from war-torn countries, the crossing of treacherous oceans, or huddled together in tents in camps surrounded by barbed wire. Several new works—blue-and-white vases stacked to resemble Classical columns—populate the gallery. As the reference to Homer’s epic poem makes clear, the current refugee crisis is not the first exodus in history. Nor is it likely to be the last. “These migrations happened before. It’s not a new problem, it’s really an endless problem,” says Nazan Ölçer, the director of the Sakip Sabanci Museum. The exhibition was first conceived around 18 months ago when Ai visited refugee camps in south-east Turkey to research his documentary Human Flow (2017)—another epic endeavour that looks at the scale of the refugee crisis. Ai has tackled the refugee crisis on numerous occasions, often getting directly involved, whether providing aid on the Greek island of Lesbos or cancelling shows in Denmark in protest at its refugee policies. But the Istanbul exhibition marks his transition from “from activist to philosopher”, according to Ölçer.